Reacting to speculations over Peoples Democratic Party (PDP) and Congress alliance in Jammu and Kashmir, Bharatiya Janata Party (BJP) leader Subramanian Swamy on Tuesday said that the alliance will be a bad idea as both parties are 'pro-terrorist'. Swamy's statement comes amid speculations that PDP may ally with Congress and the two together with the support of other smaller parties and independents may seek to form a new government in the state. "If they (PDP- Congress) form, it will be good for us politically. 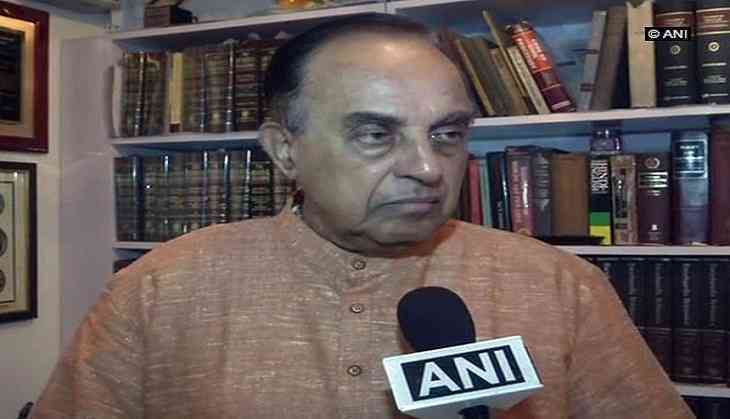 But it will be bad for Kashmir because right now we are in a clean-up operation," Swamy told ANI. "From Kashmir's point of view this alliance is bad, as both are pro-terrorist (Congress and Mehbooba Mufti) but from our BJP point of view is that it will be a great opportunity to revive our cadres," he added. Mehbooba on July 3 rubbished rumors of PDP-Congress alliance in Jammu and Kashmir. She took to Twitter to clear the air about the possibility of an alliance between the two parties. Earlier in the day, a leader of the PDP lashed out at Mehbooba and accused her of obliterating the party by promoting nepotism. Party leader and former minister Imran Raza Ansari also hinted at exiting the party. On June 19, the BJP pulled out of its alliance with Mehbooba Mufti's PDP in Jammu and Kashmir, following which Mufti submitted her resignation following which Governor's rule has been imposed in the state.